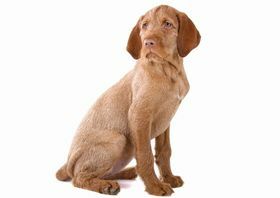 The German Wirehaired Pointer is considered to be a healthy breed, but this does not mean that every puppy will be free from health problems. Some diseases and conditions are a result of genetics, while others are due to poor breeding, so you need to make sure you are well aware of these potential issues before bringing a pup home. Some of these conditions include eye diseases, joint dysplasia, Von Willebrand’s Disease, and skin cancer. Eye diseases may be found in your German Wirehaired Pointer and they can range from a simple eye infection to cataracts or even progressive retinal atrophy. If you think that your pup may have an eye disease, speak with your veterinarian to have your pup screened. 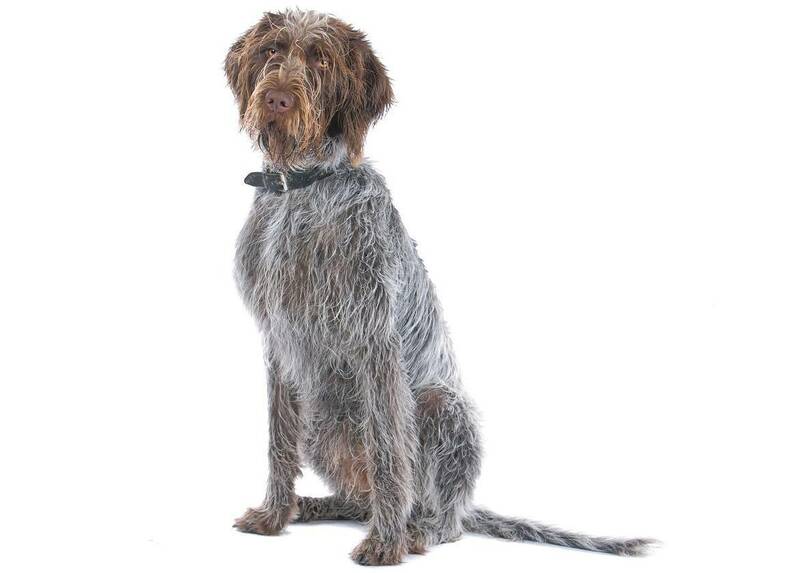 Joint dysplasia is a concern in many breeds and your German Wirehaired Pointer is no exception. Joint dysplasia affects either the elbows or the hips and happens when the joints do not fit into the socket properly. This causes painful arthritis and can lead to lameness in your pup’s limbs. 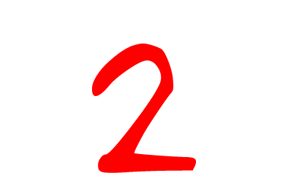 Von Willebrand’s Disease is an inherited blood disorder that is present when there is a lack of proteins in the platelets. This does not allow the platelets to clot properly. Lastly, skin cancer is a concern in your German Wirehaired Pointer. Cancerous cells can form at any time and quickly spread throughout your pup’s body. Regular screenings at vet checkups can help you and your vet quickly catch any cells that may be of concern. The German Wirehaired Pointer has a life expectancy of 12 to 14 years. The German Wirehaired Pointer is an affectionate pup that will provide you with a lot of love and will become a true companion, as opposed to a simple house pet. This breed likes to be close to his or her owner and will provide cuddles day in and day out. This breed is excellent with children who are older and is ideal for children who are at least roughly 8 to 10 years of age. While it is unlikely that your pup will be harmful to younger children, it is not worth the risk. This breed is protective of his or her family and is wary of strangers who enter the home. You will find that your German Wirehaired Pointer will bark and alert you when he or she feels that there is danger present. Your German Wirehaired Pointer needs to have a yard to run around in and you will find that your pup’s hunting instincts naturally come out, and he or she may begin to track while outdoors. You should walk your pup at least once per day for about 30 minutes. 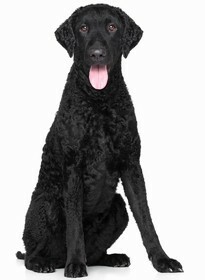 This breed is not considered to be any easier or any more difficult to train than other breeds. You may find that your pup does have a stubborn streak now and then, and your German Wirehaired Pointer may take on an independent approach when it comes to training. The German Wirehaired Pointer needs an owner who is consistent, firm, and a leader, otherwise, your pup will try to become the pack leader. The German Wirehaired Pointer has moderate grooming needs. You will find that this pup does shed a fair bit, and you need to keep his or her coat brushed to prevent any mats, tangles, and too much shedding. You should brush your pup once per day. Some stripping of your pup’s coat may be needed, and this means you will have to take him or her to the groomer to have it done. You may need to clip your German Wirehaired Pointer’s beard, eyebrows, and mustache occasionally as well. Bathing is not a necessary part of the regular grooming process and should only be done when it is absolutely needed. You should clean your pup’s ears once per week to prevent infection and to remove any buildup that may be present. Lastly, you want to make sure that you trim your pup’s nails and keep them at a healthy length so that they do not break or snag. 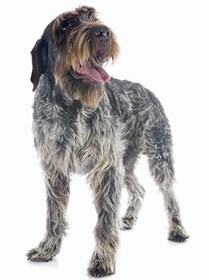 Your German Wirehaired Pointer will eat about 2.5 cups to 3 cups of dry food per day. You should feed your pup a healthy and hearty food that is not filled with chemicals or by-products. As you look for a brand of dry kibble for your pup, you need to take the time to read over the ingredients and nutritional information. Since your pup is active, it is important that you make sure he or she receives the right amount of protein and nutrition to ensure a healthy lifestyle. If you are unsure of what to feed your pup, talk to your veterinarian and find out what he or she recommends. Looking for a German Wirehaired Pointer? 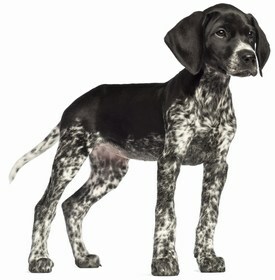 A German Wirehaired Pointer puppy will cost you anywhere between $600 and $800, on average. The price of the puppy will depend on the breeder you choose to work with and the quality of their pups. In addition to this cost, you need to make sure that you factor in the yearly costs to keep your pet vaccinated and healthy. You should include the cost of preventative medicine, food, supplies, and the possibility of a medical emergency. Ranking takes into account a few basic factors including cost, skill level needed, high vs low maintenance and how critical regular training is to success. The German Wirehaired Pointer is a good addition to any family and you will find that he or she loves to be outdoors. This breed is wary of strangers and will protect his or family when the need arises. Your pup will train easily and you are not likely to have many problems. While your German Wirehaired Pointer may shed a bit inside of your home, he or she has a lot of love to give, so every hair is worth it. This breed ranks a 2.